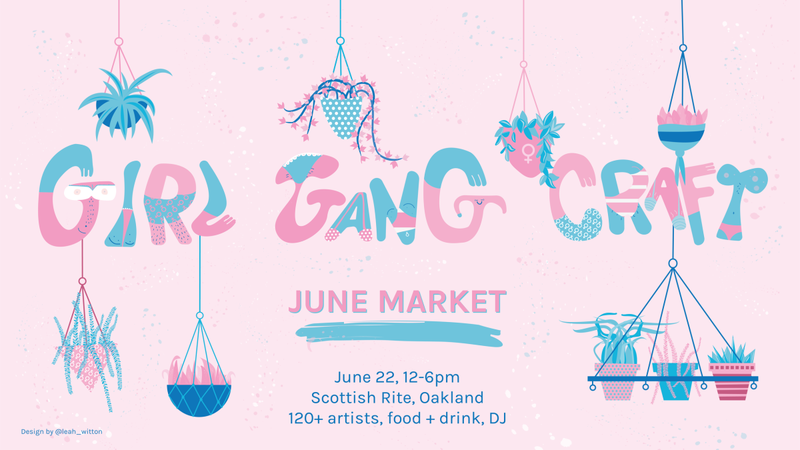 Join us for our Girl Gang Craft Spring Market, Saturday June 22, 12-6pm at the Oakland Scottish Rite Center. 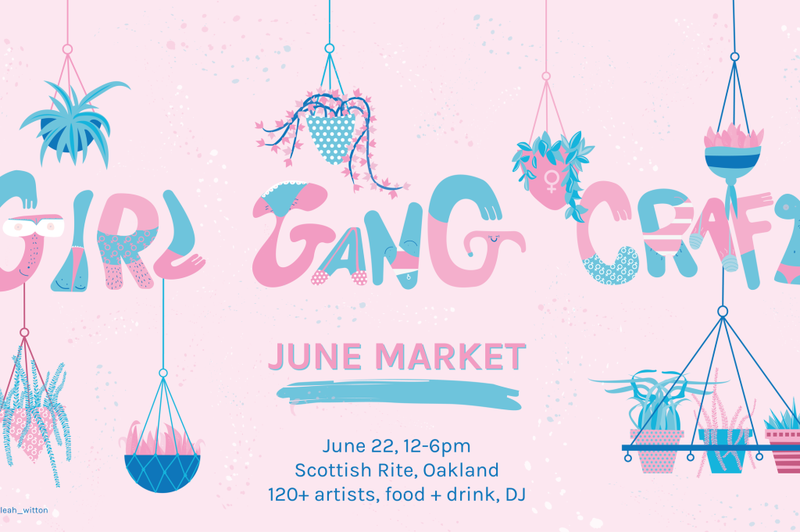 Shop from 120+ womxn, trans, and nonbinary artists, healers, and entrepreneurs while sipping on feminist cocktails. Eat from our yummy Food trucks and dance to our all-record playing DJ.